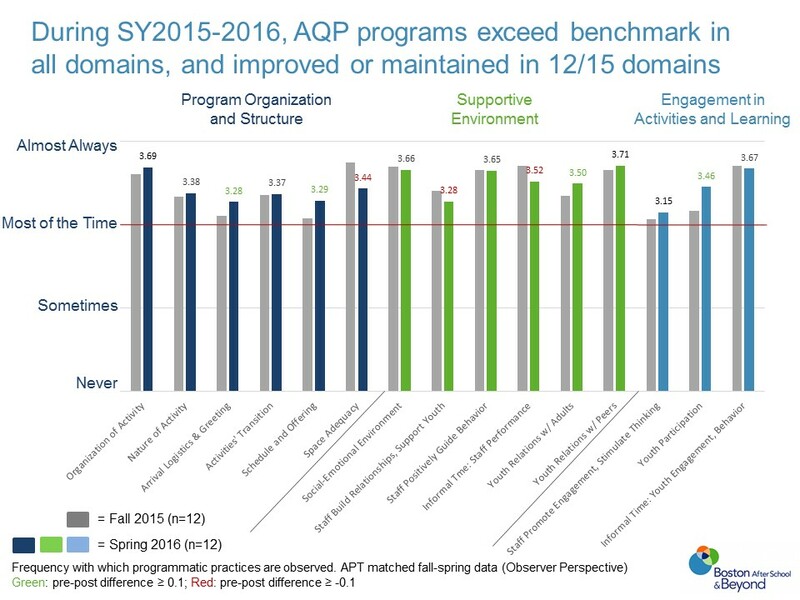 AQP programs exceeded the benchmark in all 15 areas of general program practice as rated by a third-party observer. 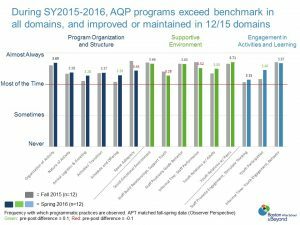 On average, observers and youth rated programs at or above the benchmark in 6 out of 9 areas of practice that build ACT Skills. 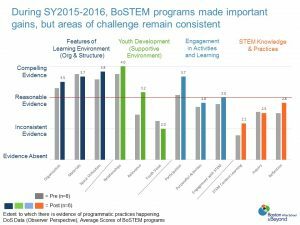 Room for improvement identified in practices that build critical thinking, self-regulation, and providing youth leadership & choice. 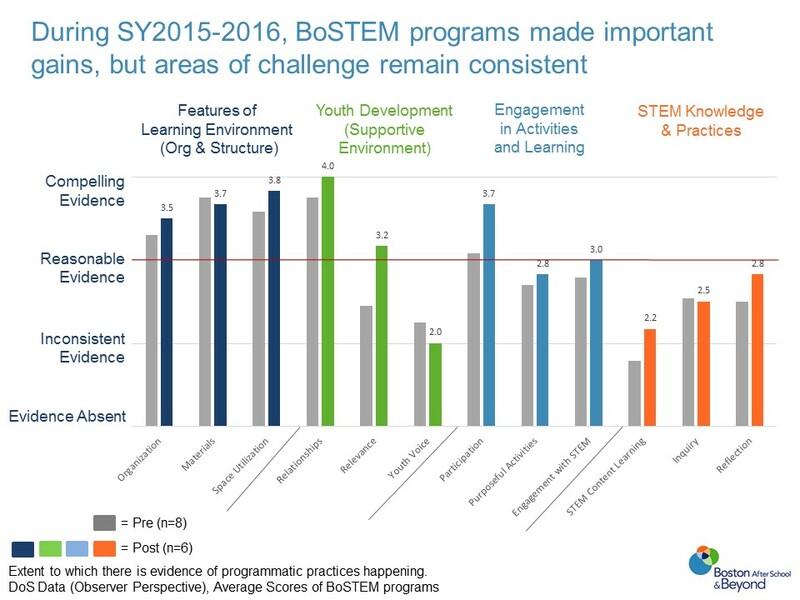 BoSTEM programs made improvements over the course of the year, with areas of ongoing challenge identified as youth voice, STEM content learning, inquiry, and reflection.